The embodiment of Gucci’s signature elegance, craftsmanship and fashion expertise: we’re talking about Gucci’s GG Marmont matelassé shoulder bag, of course. It has now made its Fall-Winter 2017 collection return, this time in a new, compact size. 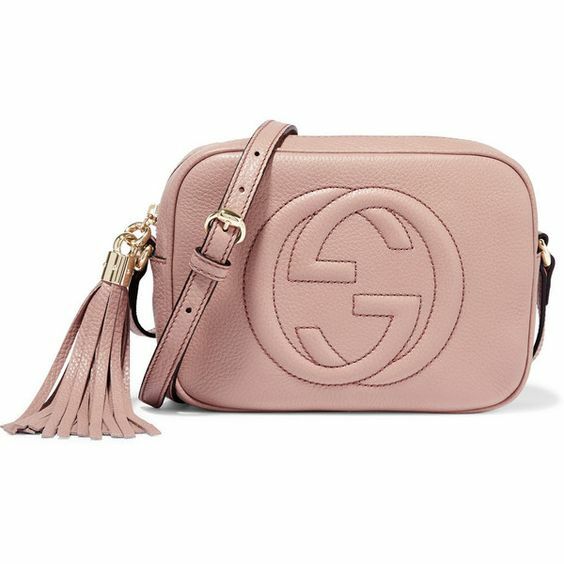 Featuring soft calfskin leather design, Gucci’s double GG on the magnetic strap closure, and a distinctive heart motif overstitched onto the back, this bag makes for a distinctive addition to Gucci style. Add to that an adjustable chain strap and this bag becomes the perfect companion for the season – whether clutched or slung over the shoulder. The small GG Marmont chain shoulder bag has a softly structured shape and a zip top closure with the Double G hardware. The chain shoulder strap has a leather shoulder detail. Made in matelassé leather with a chevron design.